that's it! Even though it is very brief. There's also another one on registration (again, rather short) which will be extended to a very detailed discussion on registration and referencing. I just bought a total station to go along with my scanner and we are testing the work flow for laying control along with the scanner tomorrow morning. A question that has come up is this: Do we need to shoot in all the checkerboard targets with the total station or can we just have some control points scattered in the scans. not necessarily living in each scan, but maybe every other scan. I dont think there will be much compounding error if you use targets to register 2-3 scans and then use a control point to correct. Not sure if this will work with the work flow anyway. We are preparing for a scan job that is about 500 scans and I dont want to have to shoot in 1000 points or how ever many it works out to be! FYI we are scanning a unit inside of a chemical plant so there will need to be LOTS of targets and shooting them all in would be a huge PITA. Ideally, you shoot every checkerboard. You don't have to, but each one makes a check for you. I don't know what scanner you are using, but when I use a Leica P30-40 I usually set up my bipoles on benchmarks or control points and hit them in at least three mutual scans to make sure they are good. My registering Cloud to Cloud is ALWAYS better than the survey control. When I see all my walls, floors, ceilings, pipes and stairs PERFECTLY in line and I see my survey control out of line, I know I am right and the survey is wrong. It's usually only .1" or.2" on any point, but I trust my walls and floors and pipes more than single survey points. I have millions to register to, they have less than a handfull. We are using a Faro Focus S70 and a TopCon ES-103. Our thinking is to use survey equipment to establish controls over distance. We are concerned that the accumulation of error over distance will cause our scan to be off when comparing the first scans to the last scans. Our idea is that we will have control points available through out the scan area to confirm that registration using checkerboard targets is stitching together well. Is it practical to use cloud to cloud registration for a data set that is that large (500 scans or so)? We also dont fully understand what the software is doing...when you do manual registration is it using the points the user selects only to do general orientation and then looking for matching surfaces or is it only using those points and thats it? Our scan area we are preparing for is about 1000ft x 300ft and three levels of pipes, pumps, vessels, and various other equipment and structure. Our thinking is that we will have control points at all corners of the scan area at each level and that will help us confirm that the first and last scans of each level are oriented correctly as well as help us tie in the scans from each level. We are new at this. In addition to these questions, we are testing today around the office to see how the work flow goes. Are you familiar with survey field workflow and practices? Running a total station is no trivial matter - it is more technical and involved than running a scanner in my opinion. Depending on how open the space is and whether or not it is possible to loop around I would have the survey crew run a traverse around the perimeter or widest available route through the space and make sure the closure is good. Having established a solid horizontal traverse, decide whether or not you are required to level the space. Total station will give you a decent horizontal closure, but not vertical accuracy. If having the overall model of the space level is important, I would recommend doing a level run through your traverse setup locations and establish elevations on those points, especially if the space you are scanning spans multiple floors (you'll need a surveyor's level and rod to do the level run). Having established accurate horizontal and vertical control backbone, I would then locate checkerboard targets from either traverse setup points or via intermediate setups if necessary. To locate all of the checkerboard targets with the total station or not depends on how comfortable you are with your registration accuracy. Assuming the intermediate scans have good reference target overlap and you are using cloud-to-cloud constraints, it is not necessary to have several control targets in each scan in my opinion. You are relying on intermediate constraints to keep the neighboring scans aligned properly and only using scan control points every few scans to create a solid control backbone that will hold your overall point cloud tight and positioned properly. As far as the software goes, I am not a fan of Faro Scene as a lot of what it does is under the hood and you have no control over it. In my experience with Scene 5, survey control is loaded as a text file and Scene then uses an algorithm to automatically match it to known checkerboard targets in the scan. I think the one thing folks might be missing here is that the target information shot with a tracker or total station is NOT involved in your cloud registration at all. At least as far as I am aware. It is simply used to transform the working frame into whatever global reference system you need. Say you need to return the location of a 16” pipe flange that is at the end of a proposed run of 1300ft. Well you have two choices. You could scan the whole 1300 ft, or you could take advantage of a previously established global coordinate system, scan the local area, shoot some known monuments already tied in with the global coordinates and your software will then transform your scan points coordinates to global. That’s it. It doesn’t change your registration at all. In fact, if you have a poor registration you might get crazy results out the other end. I use spatial analyzer to find the centers of the spheres I use, then manually do a least squares fit on those points and use the results to pretty much manually reorient everything in cad. It is a lot of work. If someone has a better way I’m all ears. That’s Thomas Carlyle. He brought you the methodology behind drawing accurate geometric figures with a straightedge and compass. Anyhoo, he said “‘Genius’.…means transcendent capacity of taking trouble”. That’s what I have and that’s what you need in this work. At what point do you cut and run and decide that is the breaking point for too tedious, too much trouble to take? While I hate the guys who are all “this is too complex for you mere mortals, call a surveyor” I also think there is a tendency to look at this work and trivialize it, the same way folks who don’t understand metrology commoditize it and figure one crew is the same as every other crew. Last, I will leave you with a warning. My buddy Thomas said something else, “Originality is a thing we constantly clamour for, and constantly quarrel with”. How true! My warning boils down to this: the folks who will seek you out do so because they are clamoring, and those same folks will be quarreling when they try to fit the new thing into their workflow. It’s just the nature of things. Underneath we are all monkeys throwing poo at what we don’t understand when the pressure ramps up. I think the one thing folks might be missing here is that the target information shot with a tracker or total station is NOT involved in your cloud registration at all. While true for Scene, other software does allow you to constrain registrations using both control points and cloud to cloud constraints. At the end of the day Scene's registration tools are still quite primitive and haven't advanced significantly since version 5. Felix -thanks for introducing Thomas Carlyle to the forum -if only for control purposes. https://en.wikipedia.org/wiki/Thomas_Carlyle Carlyle was an interesting fellow on many levels. He was a satirist, too! 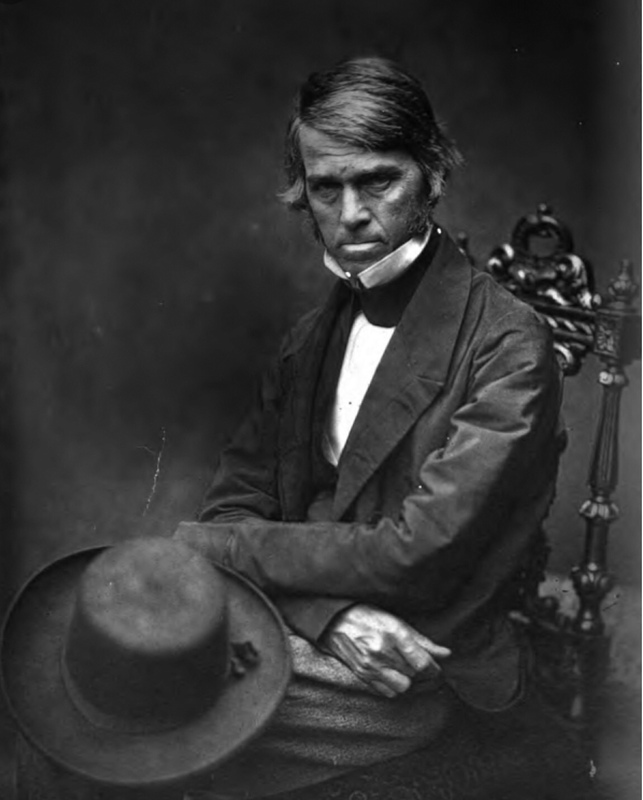 "Carlyle developed a painful stomach ailment, possibly gastric ulcers, that remained throughout his life and likely contributed to his reputation as a crotchety, argumentative, somewhat disagreeable personality. His prose style, famously cranky and occasionally savage, helped cement an air of irascibility." Sort of like what Scene and other registration software will do to you, until you find a reliable work flow. Surveyors have their methodologies and defined deliverables, architects and engineers, the same. Somehow we make it all work. It can even be fun, heaven forbid!